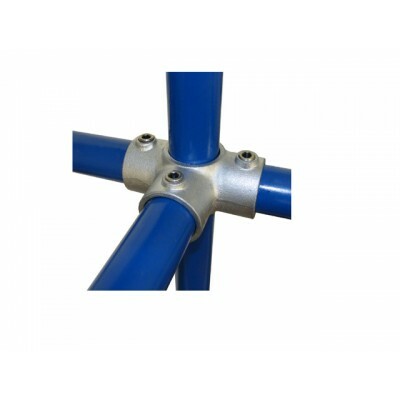 The side outlet tree fixing is often used in large tubular structures with the upright passing through the fitting. The through tube, the vertical piece in the image, cannot be joined within the fitting and must be continuous. Dimensions shown are in millimetres.